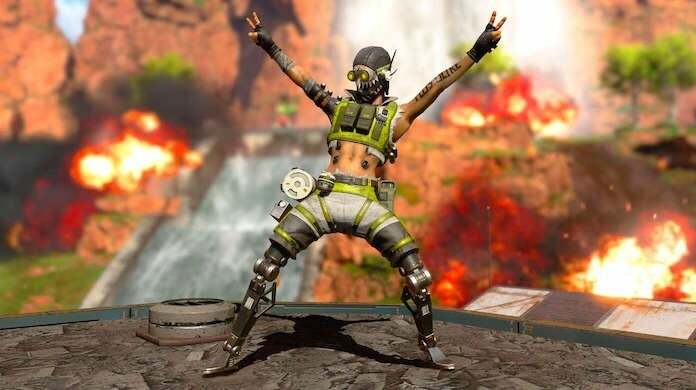 Yesterday, Respawn Entertainment finally announced the release date for Apex Legends' first season and Battle Pass. Of course, the Internet went crazy, as it's the hottest game right now and players have been dying for the Battle Pass. That said, a lot of information about the Battle Pass and Season 1 dumped out yesterday, and as a result a lot of the finer details got buried under the bigger news. One of these details is that if you purchase the first Battle Pass, you can actually get the second Battle Pass for free. At the moment of publishing, the Battle Pass is poised to go live in a couple of hours, and when it does players will be able to begin the grind of unlocking items. One of the items that can be unlocked is Apex Coins, which is what you use to buy skins in the store, and the Battle Pass itself. If you complete all 100 levels of the Battle Pass -- which is very doable if you play the game actively -- then by the end of it you'll have accumulated 1,000 Apex Coins. A Battle Pass only costs 950 Apex Coins, which means if you don't spend any of said coins, you'll have enough to buy the second Battle Pass whenever it comes. Pretty neat, right? Of course, not spending any of your Apex Coins won't be easy. While a lot of the game's skins aren't great right now, I'm sure that will change with time, and soon it will be difficult to not burn through your coins. Apex Legends is available, for free, via the PS4, Xbox One, and PC. For more news, media, and information on the popular battle royale game, be sure to peep all of our previous, extensive, and constantly updating coverage of the game by clicking right here. And of course, feel free to leave a comment letting us know what you think or hit me up on Twitter @Tyler_Fischer_ to talk all things Apex Legends. Are you planning on picking up the Battle Pass when it launches in just a couple of hours or are you're going to save your money for the next one?